It is often confusing to individuals regarding clinical problems related to our eyes. Since eye is one of the important organs of our system, it is pertinent that individuals should be aware of common problems of our eyes. Two such issues are Stye and Pink Eye. Stye is an inflammation of the upper or lower eyelid that manifests as a pimple or an abscess. The inflammation results from the obstruction of an oil duct or sebaceous duct along with the microorganisms like bacteria, which resides on the surface of eyelids. The microorganisms and the dead cells of the skin are deposited along the edge of the eyelid. Styes are generally superficial, however in some instances can reside within the inner surface of the eyelid. A superficial stye exhibits itself as a pimple, near an eyelash and turns red and painful. With time the pimple swells and bursts. Normally these types of styes are short lived and heal up automatically. 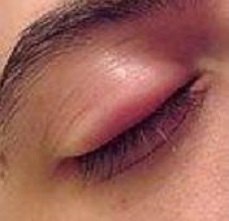 On the other hand styes that are internal to the eyelids also develop into a red and painful swelling, but do not burst open. Normally these styes disappear one the infection is controlled; however in certain instances drainage may be required to remove the pus from the fluid filled cyst. When the obstructed gland does not heal properly it develops into a scar or a dead tissue with a characteristic bump or swelling without any pain. This swelling is referred to as chalazion. Styes are normally harmless and do not cause problems with eyesight but may cause some errors of refraction. However in certain instances, styes can result in cellulitis since there is an involvement of soft tissue. Presence of excess bacteria like Staphylococcus aureus may cause the stye to become tender and more painful and chance of recurrence increases. Pink eye or commonly called “conjunctivitis” refers to the redness and swelling in the conjunctiva. Conjunctiva is the mucous layer that lines the eyelid and the eye surface. It is mainly caused by an infection and the irritation that results from infection leads to the characteristic redness and swelling. It is a contagious disease (if caused by viruses or bacteria); however it goes away within 7 to 10 days. The major cause of pink eye is due to viral or bacterial infection, although dry eyes from decreased lacrymation (lack of tears), exposure to sunlight or Visual Display Units, chemicals and smoke are also some of the causes. The viral strains are adenovirus and herpes virus. Symptoms of Viral pink eye are redness in the sclera, swelling of eyelids, burning sensation in eyelids and presence of white discharge. Bacterial pink eye is featured by redness in sclera, pain and swelling of the upper eyelid and presence of yellow or gray discharge. The discharge causes the eyelids to droop down and stick to one another. Cause inflammation that results from the obstruction of an oil duct or sebaceous duct with dust and microorganisms Infection and irritation due to viral or bacterial strains.Dry eyes, exposure to sunlight or prolonged exposure to Visual Display Units, chemicals and smoke. Sagarika Mukarjee. "Difference Between Pink eye And Stye." DifferenceBetween.net. June 22, 2017 < http://www.differencebetween.net/science/health/difference-between-pink-eye-and-stye/ >. Interesting article! Pink eye and stye are the common eye problems. Pink eye develops when the blood vessels in the eyeball get inflamed by a virus, bacteria, and allergic reaction. Stye is a small, inflamed boil on the eyelid. It may affect the skin of the eyebrows or the eyelids. Richards A, Guzman-Cottrill JA (2010). "Conjunctivitis". Pediatr Rev 31 (5): 196–208.